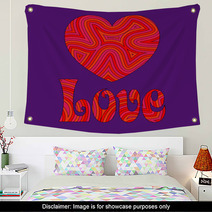 The Love & Heart In Groovy Swirls design is conveniently available in an array of home furnishing goods from wall murals, to bed blankets, to custom size floor mats and custom size window curtains, and even baby blankets or custom size shower curtains. 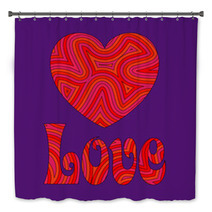 Entire 1960s themed collections are available for your bedroom, bathroom and almost any room in your house. How about a new rug for your office? 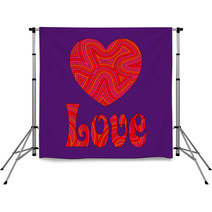 Let us change the main color or any color within this design to ANY shade you like. 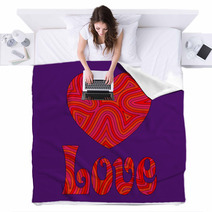 VisionBedding can also print a personalized message anywhere within the graphic. 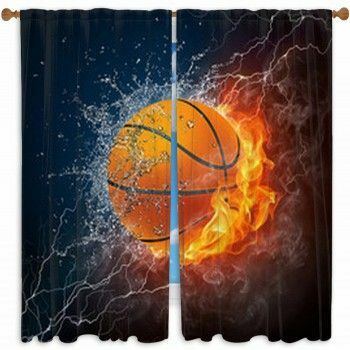 VisionBedding’s custom options are almost limitless. 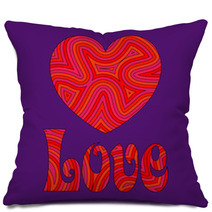 Let us customize the orientation or the central object within this specific Love & Heart In Groovy Swirls design. 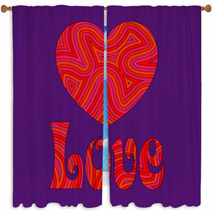 Things to keep in mind when picking your Love & Heart In Groovy Swirls wall decor. 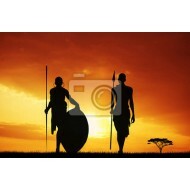 Are you considering to acquire some wall art for your living room? 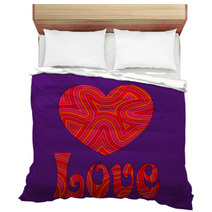 This design piece is a frequent choice for a number of people and can upgrade the aesthetic and feel of your room. When it comes to finding the right artwork for your space, there are a few things to bear in mind. 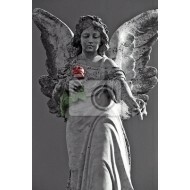 To begin with, establish the function of the room and who will be looking at your decor. 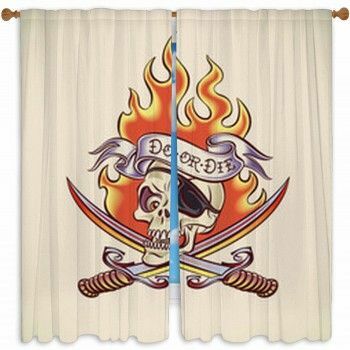 Is it solely for your eyes or will you be displaying it to your guests? Next, decide if you prefer a mere one focal piece or a compilation of a few pieces. Also, do you prefer all your items to have a matching style or do you want a varied arrangement? Don’t know what kind of wall art to pick? Take inspiration from pieces you love or those existing in your home. For example, if you like traditional art, a modern work of art won’t go well with your aesthetic. Also, tones play a crucial role in your choice. Choose a piece that goes well with your desired palette. Otherwise, you will have to switch up the look of your entire area to match your newly obtained piece. Also, are you wanting original work or are you okay with printed art? At the end of the day, however, it really is determined by what you like. If you come across a piece that resonates with you, get it! Get artwork that you will admire in the present and later on. Rugs with a 1960s theme can establish a comfy environment. A carelessly positioned area rug can throw a space out of equilibrium. 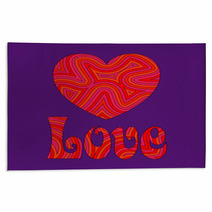 A rug needs something to accent it, so arrange your Love & Heart In Groovy Swirls rug with the furniture. In your living room, make sure that at least 3 feet of your biggest piece of furniture are planted on your rug so as to add dimension to the room! In your dining room, set your rug fully below the table. Rugs are made to be complements for furniture, but a well-placed rug has the added perk of style.